I acquired this work from Bob Rankin in October 1998. Bob started working with some new colors, and this is one of the results. 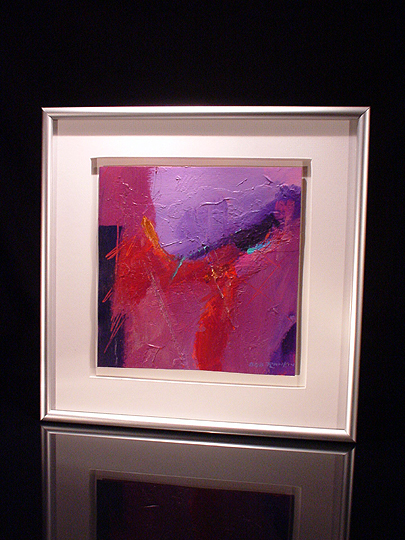 I like the interplay between the purples, the reds, and the copper sections in the center of the work. This is one of two Rankins that I took with me to Seattle for five months while working on the Microsoft Office 2000 Beta.